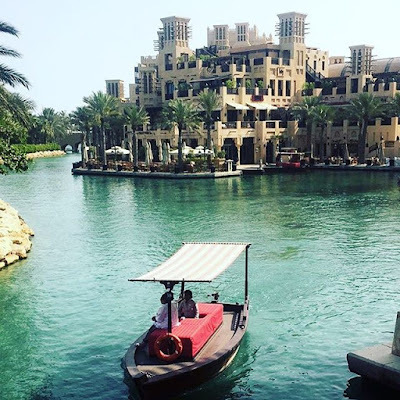 As you know we recently returned from a trip to Dubai staying at the 5 star Al Qasr hotel in the Jumeirah Resort. The resort is enormous, so large that they supply golf carts to get you from AtoB. 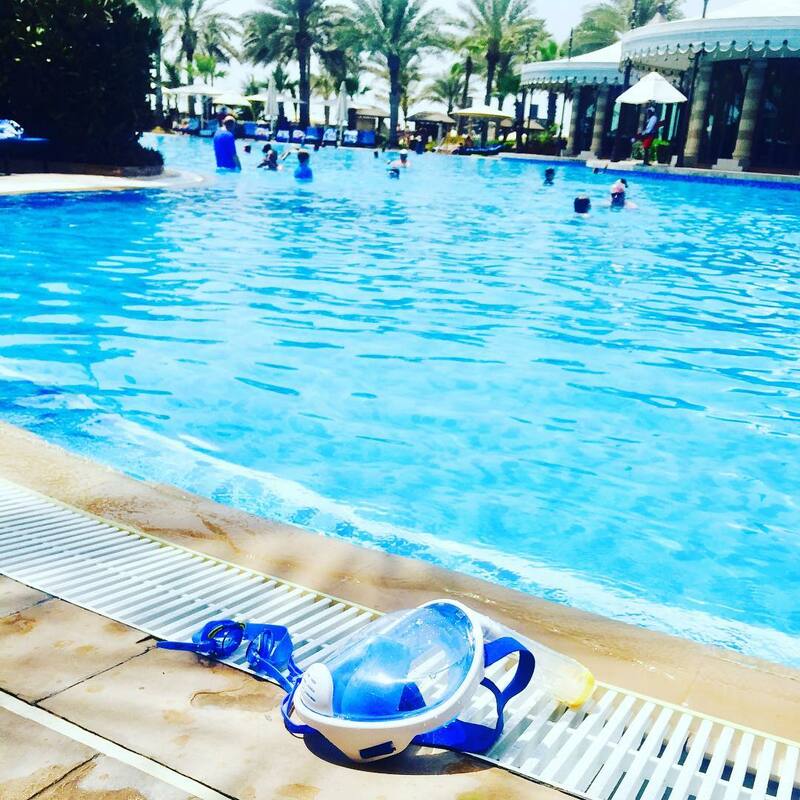 Within the resort you have a huge amount of restaurants, swimming pools, spas, bars and beach sport facilities all for you to use. We flew with Emirates and to be perfectly honest with you it was adequate but I'm not sure I'd rush back to use this airline. I have travelled with Virgin and BA on many occasions and in my opinion their service are far superior. But on the plus side, if you do fly with them, keep your boarding cards because lots of restaurants and attractions give a 20% discount if you're an emirates traveler (somebody told us about this at the end of our holiday so maybe google it as none of the said venues advertise it openly). The hotel Al Qasr can only described as fantastically opulent in all of the public areas, with stunning chandeliers and beautiful furnishings throughout. The rooms are nice, a very good size and immaculately clean. The bathrooms feel very luxurious. The staff are all extremely helpful and nothing is too much trouble. The resort has an incredible 40 restaurants for you to chose from. We decided to go with the half-board option and with this you get breakfast and a voucher that you can use either for lunch or dinner. Now to be totally honest only 2 of the restaurants we used were exceptional. One of which was Segreto were our food was fab and my dessert was to die for. The other restaurant we used without a supplement was Al Hambra. It was ok but as we found with all the restaurants we used in the hotel complex, they were a little soulless. The food was fine but the atmosphere that makes a holiday was lacking. We also ate in The Hide where it was ok, Zheng He's Chinese where again the food was pleasant but the atmosphere was really lacking. There were a few more places we ate but only two worth mentioning in my humble opinion. The first is afternoon tea in the Al Fayrooz Lounge. It was fab! A gastronomic experience not to be missed and a real treat. The second was Pierchic seafood restaurant. The location is at the end of a pier, It was a beautiful evening as the atmosphere was fab, the food great and a wonderful wine list on offer but be warned even though it takes the vouchers our bill was very large. We aren't huge drinkers but it was our sons 30th birthday so we had 2 bottles of wine between 4 of us and the men had a beer each. We had 2 courses ( one being the dessert which was a sharing one for 2) and I'm sure a bill was around £700 + the vouchers. 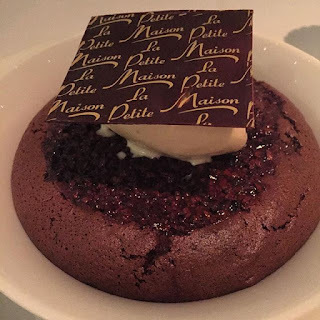 We also ate outside of the hotel a few times all were fab but my favourite was the incredible La Petite Maison. I love this place, in-fact the London one is on my Top Ten of restaurants and the Dubai one didn't disappoint. They actually could even have the edge with a fantastic atmosphere and the food is just as good as London. But again bring your gold or actually platinum credit card. Taxis are really good value in Dubai so no need for a car or designated driver. Breakfast in the hotel was good and the choices are amazing. To order breakfast in your room is astronomical so unless you have won the lottery I wouldn't bother. 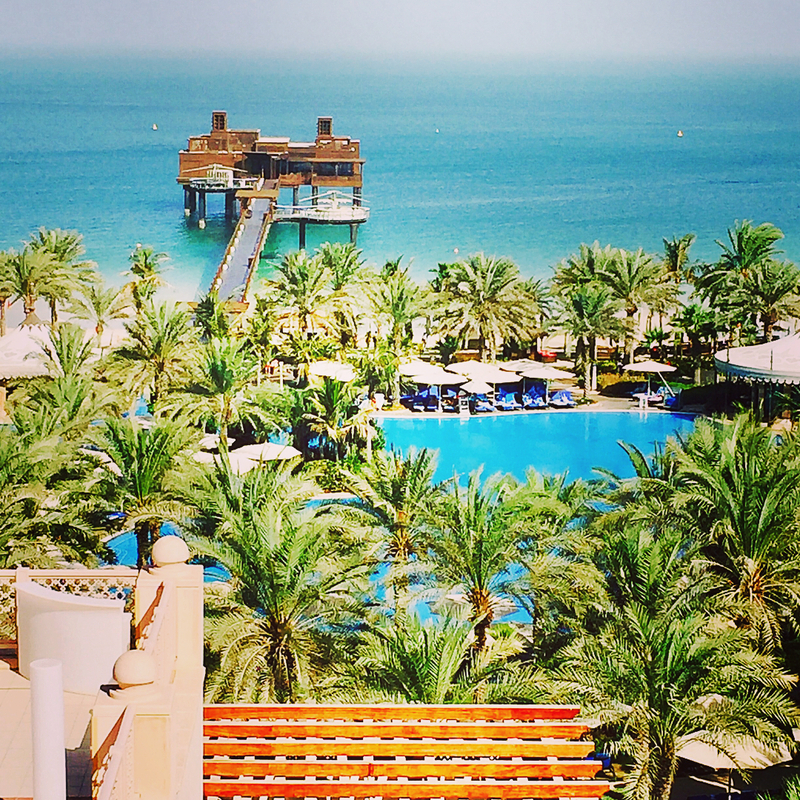 The other thing that you really shouldn't miss is BRUNCH at The Al Qasr. It's incredible, there isn't a food group or type that you can't get. It's all freshly made and replenished constantly. There is a supplement if you are half-board but this is well worth the extra as all drinks are included plus they had fab live singers when we were there. I have to say August is extremely hot so we didn't do an awful lot. 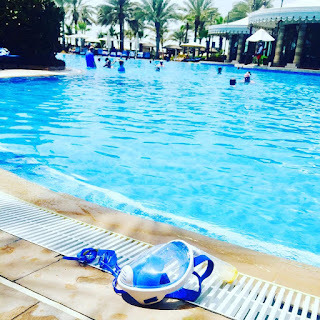 We spent most of our days at the hotel pools, we didn't even bother visiting the other pools on the resort other than the water park. 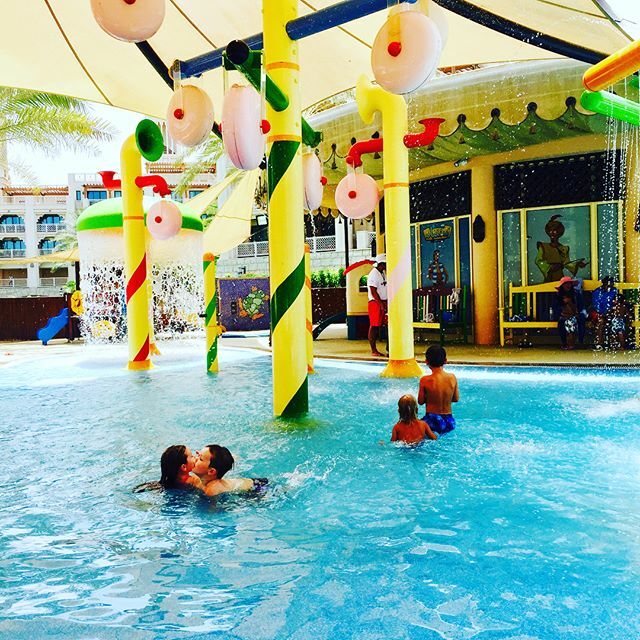 The kids pool is really great, it's covered with big sail like canopies. Harley and Buddy enjoyed playing in there most days. 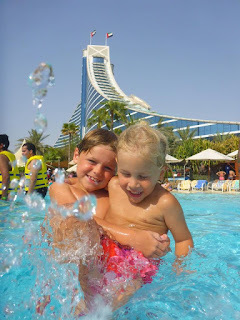 The main pool is apparently the largest in Dubai. It's a really good design as it has a deepish middle but mainly is quite shallow and perfect for children. But it was ridiculously busy with families and if we had been there as a couple I would have seeked out the adult only pool in one of the resorts other hotels. On a Wednesday morning at 11:15am you can feed the turtles who have been rescued by the resort and are being nursed back to health. It's really a lovely experience and totally free. 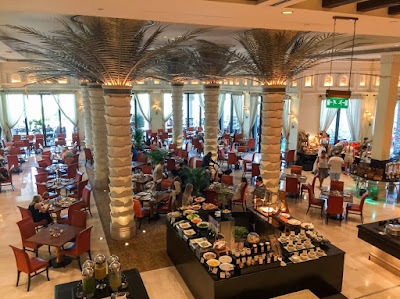 There is also a kids club at Al Qasr but Harley and/or Buddy didn't fancy going in there even though all the children coming in and out looked like they were having a fabulous time. Also the hotel has a private beach. It is beautiful, soft white sand, blue azure warm sea along with fab attendants to attend to your every need. The restaurants along the beach are meant to be fabulous for lunch but unfortunately the two we found were closed for the month of August. Another wonderful thing are the Abbras. Little boats that ferry you from one place to another. On our first night Richard and I took the tour and one morning Harley and I had a ride but mostly we used these to get to and from restaurants on the resort. 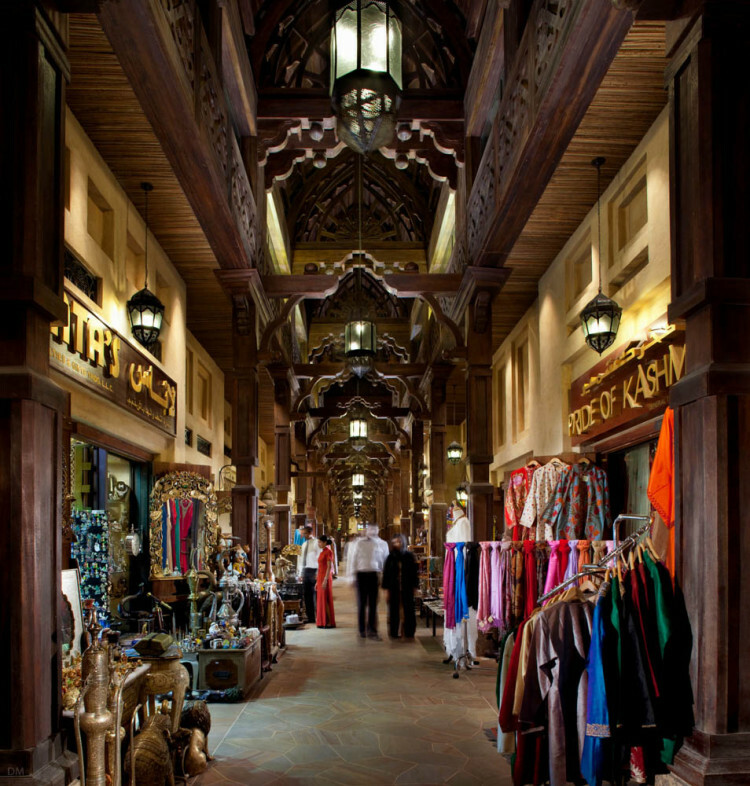 The Souk Madinat is another must. Full of lovely little shops with some gorgeous products for you to buy and take home. The last thing I have to review is the big red bus tour. Whenever Richard & I go to a new place we find the best way to find our bearings is by taking the open bus tour, it also gives you a little of the local history. All I can say is don't do it in Dubai. It's a concrete jungle but if you want to see malls, plastic surgery clinics more malls and hotels in the sweltering heat with crap noisy aircon then maybe you'll enjoy it but we paid for 2 days and did half a day, I HATED IT. Check out the summer villas, everyone was raving about them and apparently they're the same price as the rooms in the hotel. But you get a small pool outside your door and complimentary drinks every evening between 6-8pm. The other thing, do go out of the hotel for a few evenings for gastronomical experiences rather than a sedate meal. The fountains are meant to be incredible, but unfortunately we didn't get to see them. Would I go back to Dubai? Yes, for some winter sun but there are lots of places I'd like to see before returning. Would I stay at The Al Qasr? Yes but not in the children's holidays unless we had children with us. 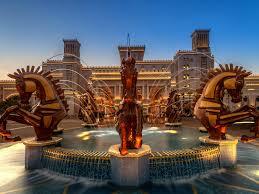 Would I recommend Dubai and The Al Qasr in August ? Yes as long as you want a lovely resort holiday withgreat service which is quite pricey and you're not worried about seeing anything cultural.